This is an original work by Zack Borgstedt. The message rings true for all of my connections, especially the ones from Room 428. However, this is dedicated to my immediate brother. Love you man. Insightful perspective. Definitely helping my detoxification endeavor! Thinking about purchasing or making a water distiller. This may be a touchy subject because I know how many avid Vitamin Water drinkers are out there, especially in our increasingly health-conscious (but misinformed) society. However, it’s time to face the facts! 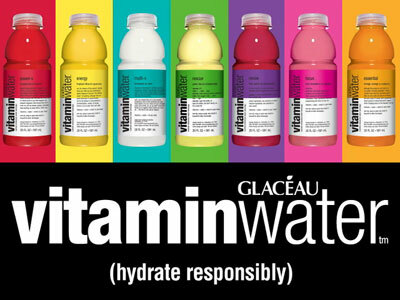 Vitamin Water gives the illusion of a healthy, hydrating, and rejuvenating miracle elixir. The bottles are beautiful, colorful, and the text on them is snappy and clever. They have empowering flavor names like “endurance,” “energy,” “essential,” and “focus.” There is no question that there is some genius marketing at hand. However, nothing makes me cringe more than the sight of someone downing a bottle of “charge” or “balance” as though they are truly replenshing their body. The cold, hard truth is… Vitamin Water is fortified sugar water. Check the label yourself. I am on Your Side. I am NOT AFRAID. Please check this video out. We cannot afford to be afraid any longer. We cannot afford to be jealous of one another. We cannot afford to harbor resentment, abhoration, disdain, malcontent, prejudice. I am guilty of all of these negative emotions. I am recentering myself to resonate with everyone. Please watch this video. I hope it will inspire you. We are egos and much more. Let go of the ego and be the much more!